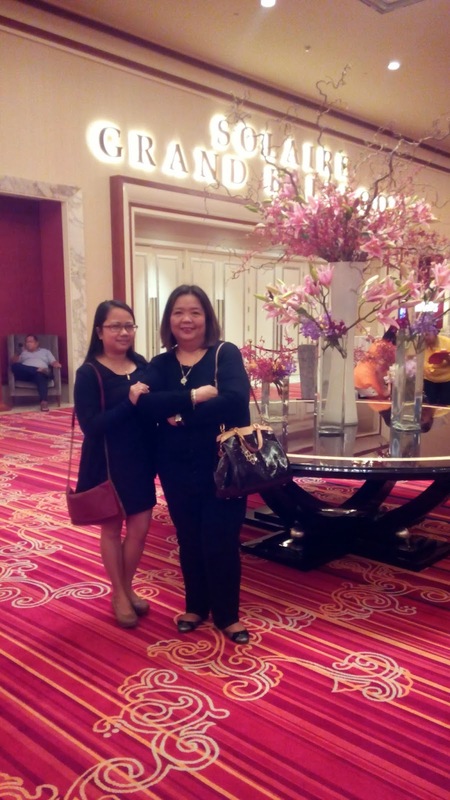 My cousin and I were able to watch Rex Smith perform at The Solaire Grand Ballroom last Sunday and we had a really swell time listening to his songs such as Let's Make a Memory, You Take My Breath Away and much, much more. 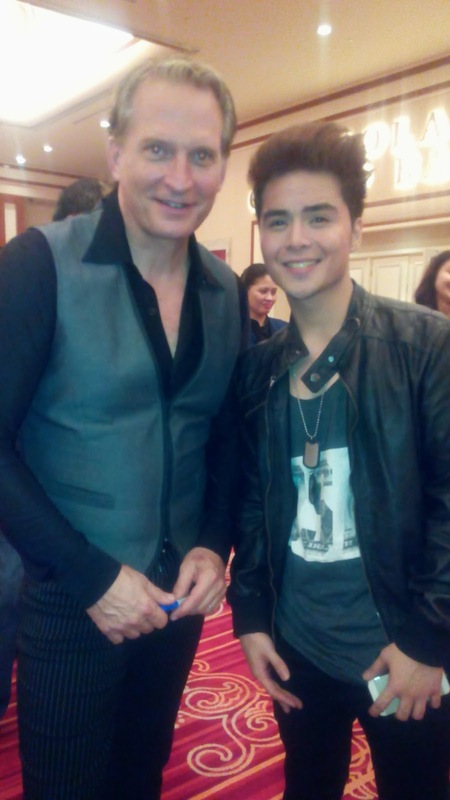 Mark Mabasa also performed that night and he gave the audience a memorable performance, too. And even if he is not a crooning like Rex Smith, he has a special charm of his own which endears him to the audience. The highlight of the show was when he went down the stage with about a dozen long stemmed roses and gave it to the lucky ones in the audience. Luckiest one was a little girl who got the last rose. I'm sure she'll be singing Let's Make A Memory every time she remembers Rex Smith. Lucky girl! 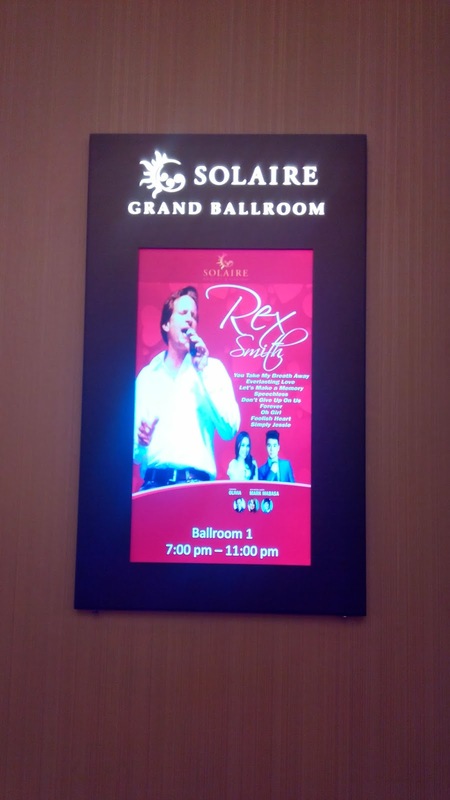 Thank you Solaire for bringing Rex Smith here. I'm in-love !!! That's us (with my cousin) before the show started. My OOTD: Stefanel black dress, Uniqlo wool cardigan, Crocs wedge, Promod envelope bag.